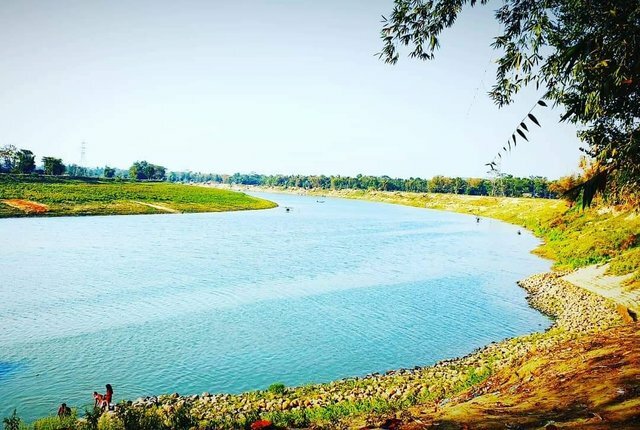 This river located near our village.The water level is now low.The bank of the river covered by different tree.The view of the river looks so beautiful.At the moment before sunset,people go there to spend time and enjoy the natural beauty. Thanks for visiting my blog.Have a good day. The force is with you! You got a 33.33% upvote from @steemyoda courtesy of @habibabiba! You got a 19.34% upvote from @redlambo courtesy of @habibabiba! Make sure to use tag #redlambo to be considered for the curation post! You got a 16.10% upvote from @bid4joy courtesy of @habibabiba! You got a 33.00% upvote from @whalepromobot courtesy of @habibabiba! You just received a 24.51% upvote from @honestbot, courtesy of @habibabiba! This post has received a $50.00 % upvote from @siditech thanks to: @habibabiba. You got a 20.00% upvote from @sleeplesswhale courtesy of @habibabiba! You got a 33.33% upvote from @stef courtesy of @habibabiba!